The vision of the Human Science Research Council (HSRC) BRICS Research Centre (BRC) is to be the preferred provider of multidisciplinary BRICS policy research in South Africa. The Centre will strive to enhance the HSRC commitment to undertake BRICS related research, and become South Africa’s preeminent BRICS multi-disciplinary think tank in line with the HSRC’s legislated mandate to serve as an advisor to government on policy based research. The BRC was set up in August 2014 in response to the growing demand for BRICS related research within South Africa and abroad. In March 2013 the South African BRICS Think Tank (SABTT) led by the HSRC drew on its capacity to fulfill obligations as the first Chair of the BRICS Think Tank Council (BTTC). 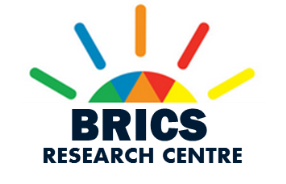 Given the anticipated on-going demand for BRICS related research in South Africa the HSRC resolved to set up an HSRC BRICS Research Centre dedicated to coordinate, facilitate and undertake BRICS research. Economic Growth and Development: The Flagship project of the BRC in 2016/17 is the Global Financial Crisis, and it’s Impact on Development in BRICS & Emerging Economies with reference to Unemployment, Poverty and Inequality. Peace, Security and International Relations: A key project for the BRC under this theme is the focus on Building a Fair World, for BRICS and the Rule of Law. Social Justice, Sustainable Development and Quality of Life: Three essential projects for the BRC under this theme is (1) Provision of Affordable Housing to address the right to shelter and against homelessness, poverty and inequality in BRICS and (2) a study of Youth risk behaviour, vulnerability, capability and impacts on youth unemployment in South Africa. Progress through Knowledge and Innovation: A key project under this theme is the Development of a BRICS wide Data Warehouse informed by public data produced by BRICS. African economic integration, growth and development: The BRC will be investigating the investment in development programmes to foster the promotion of peace and security on the African Continent.